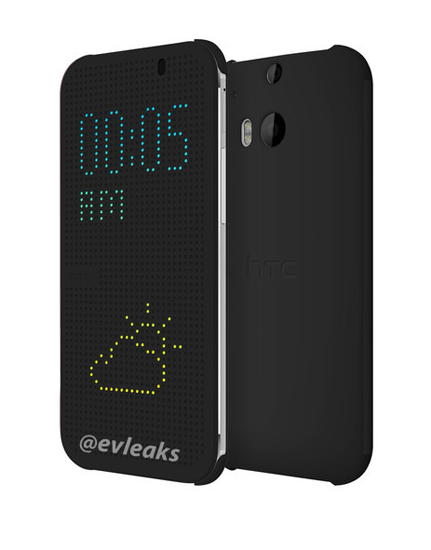 Leaks are meant to spread awareness about the device and just now an image of HTC One M8 has been showed up on Twitter which has got a new dot-matrix type cover case over its body. The source also added that this new HTC One is likely to arrive as Google Play Edition later, the same that happened with 2013 edition HTC One. This dot matrix type cover looks great. This will help you find today’s weather and current timings in dot matrix style. We can also expect some notifications pop-up in this dot-matrix style while the screen is on stand by mode. This dot matrix style can also bring back that old snake game that we used to play on our old, black and white Nokia device, the more dot we take, the more long that snake becomes. HTC must be doing some great things thats why they asked you to ignore Galaxy S5 and wait till March 25.